The Shoura Council of Saudi Arabia accepted to study a proposal to grant citizenship to the children of Saudi mothers and Expatriate father. 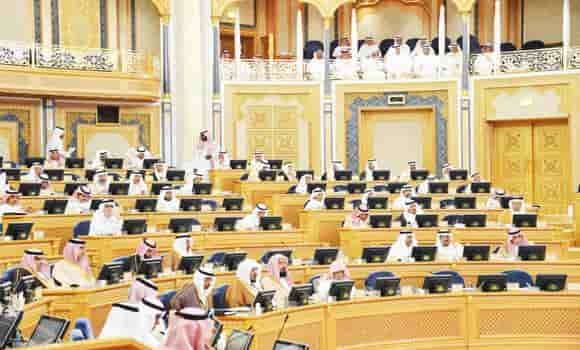 63 members of the Shoura Council agreed to study two proposals, which aimed at amending the Saudi citizenship rules and regulations. The proposal was tabled 2 years ago but never taken up for discussion. - This time the proposal was tabled by 2 essential members of the Council and 3 outgoing female members. Some member of the Council highly opposed the tabled proposal. - Saudi woman can marry to a non Saudi man as it is her choice, But providing citizenship to their children is not, Said a member in the Council in opposing the proposal, He also said children are usually attached to their fathers. - While the other member of the council supported the proposal by saying this children do not know any other home country as they lived only in Saudi Arabia with their mothers since they born. - The other member of the Council supported it by saying, granting citizenship to such children concerns human rights embodied in Shariah. - Another member said many countries grant nationalities to children of women married to a foreign men. - One of the member in Council said many people whose mothers are Saudi citizens and fathers are non Saudi citizens are very qualified. Preventing them from granting nationality will deprive the Saudi Arabia of qualified people.